Welcome to Papa Westray, one of the North Isles of Orkney. 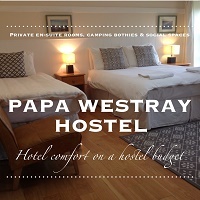 This site provides information on how to get to Papa Westray, where to stay, and ideas on what to see and do. Private en-suite rooms, camping bothies and social spaces. Papa Westray is one of the smallest islands in Orkney, off the far north coast of Scotland. Known to locals as Papay, this is a fascinating destination to visit and an engaging, sometimes challenging, place to live. Thanks to the efforts and skills of the community, Papay has been rejuvenated in recent years as several long-abandoned homes have been restored and brought back to life for local and incoming folk. There has been a relatively stable population of around 80-90 people in the last decade, compared to a low point of 54 in the 1990s. The island is rich in archaeology - including the Knap of Howar (older than the Pyramids), the restored ancient kirk of St Boniface, the remains of the medieval chapel at St Tredwell's Loch and chambered cairns on the Holm of Papay. Papay is also special for birds and birdwatchers, particularly on the North Hill. A wealth of birds can be found on the island every day of the year. Around 150 species were seen in 2015 including the first ever visit of a Chestnut Bunting to Britain. The two-minute hop between Papa Westray and its neighbour Westray is the world's shortest scheduled flight. Papay Wildlife Club holidays combine outstanding natural history with a dash of archaeology. Tempt yourself with our exciting programme of short breaks, each of which reflects the flow of the seasons. Enjoy our enthusiasm and expertise. Let us take you to the heart of the community, on an exceptional island which prides itself on hospitality. 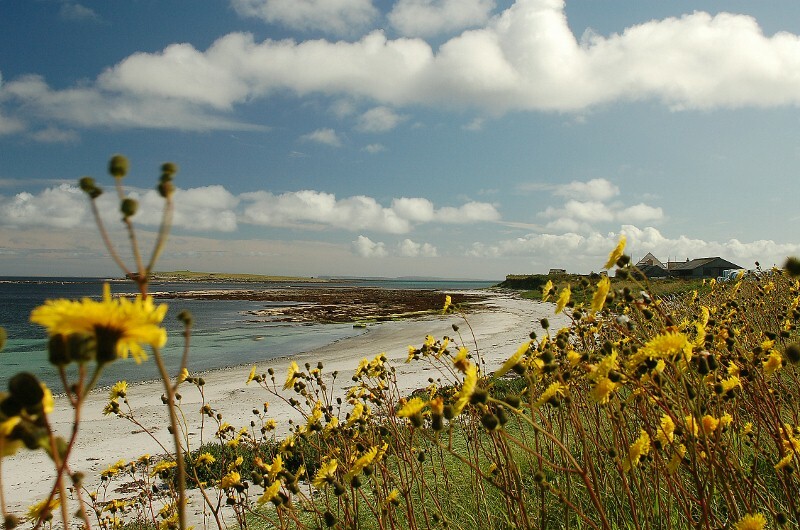 This website provides information on how to get to Papay, where to stay, ideas on what to see and do, island tours, and the Papa Westray Island Development Plan prepared by the Papay Development Trust who are currently reviewing the island's Development Plan, to cover the period from 2016-2026. A PDF version of the draft plan can be downloaded here.